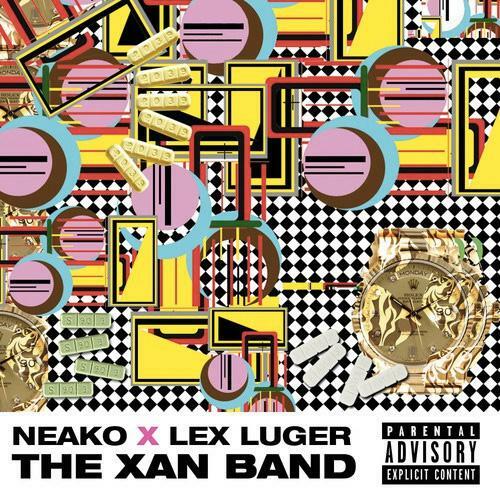 Neako x Lex Luger team up for a quick EP. Neako is usually quite consistent with his free EP/mixtape game, although it's been a minute since we received something from him. Today that changes, with the rapper teaming up with an unexpected producer, Lex Luger, for a three-track EP offering, The xanBAND EP. As the title indicates, this is trippy Xanax-fueled bars over equally experimental production from Lex Luger. Hopefully we get more music from these two (either solo or together) in the near future. For now, give The xanBAND EP a listen and/or download, and let us know what you think of the collaborative effort.